Rain Gardens mimic natural water retention and serve as a stormwater management feature and a beautiful garden. Rain Barrels collect water from a downspout for later use. Rain gardens are low lying areas created to absorb and filter runoff from roofs, driveways and parking lots. 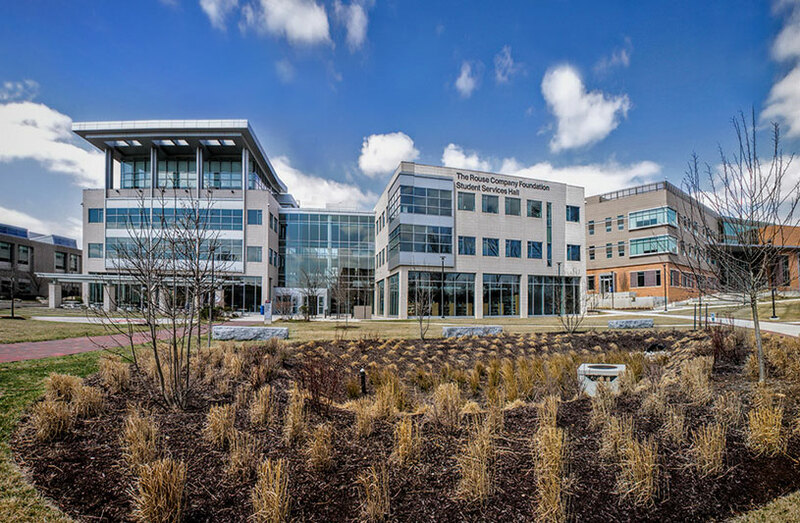 Rain gardens are generally planted with native plants adapted for high levels of water, which help to hold the runoff and filter pollutants while the runoff water slowly soaks into the ground. Here is a suggested list of plants that work well in rain gardens. 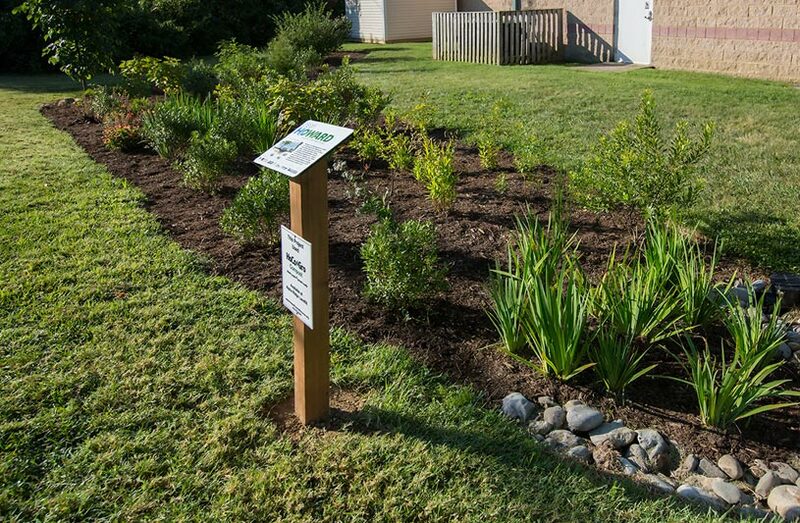 For more information about rain garden programs in Howard County, visit CleanWaterHoward.com. There is alot of information there about potential reimbursements, credits and other programs regarding rain gardens. Rain Barrels collect and store water runoff from roof downspouts to be reused as needed for outdoor uses where non-potable water is acceptable. Because they allow water reuse, rain barrels are a practical water conservation tool and reduce our demand on treated tap water. Howard County gives away barrels that can be modified to become a rain barrel. The barrel comes with pre-drilled holes, and new this year, a parts kit will also be included on a first come first served basis. To collect your FREE BARREL visit a rain barrel workshop at Alpha Ridge Landfill. Master Gardeners and Master Watershed Stewards will be on hand to explain how to build the rain barrel and answer questions. Workshops are usually the first and third Saturday of the month, April through October, except some holidays. Click here for a detailed schedule. There is usually a Rain Barrel Workshop and giveaway every April at GreenFest. Check hcgreenfest.org for details. Please see the Additional Links below for Rain Barrel Instructions and the Rain Barrel Pledge Form for Residents that are used in the workshops.